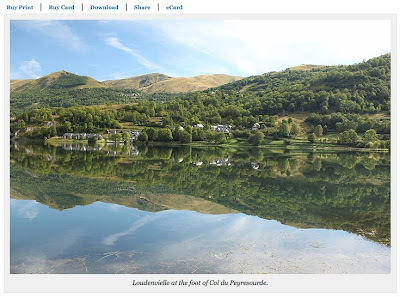 The first photo was taken by Paddy Sweeney during his recent Raid Pyrenees Tour in France. Paddy guides this tour in June (from east to west), and in September (from west to east). As you'll remember Paddy and Olive are owners of VeloPeloton in Saint Savin, France. 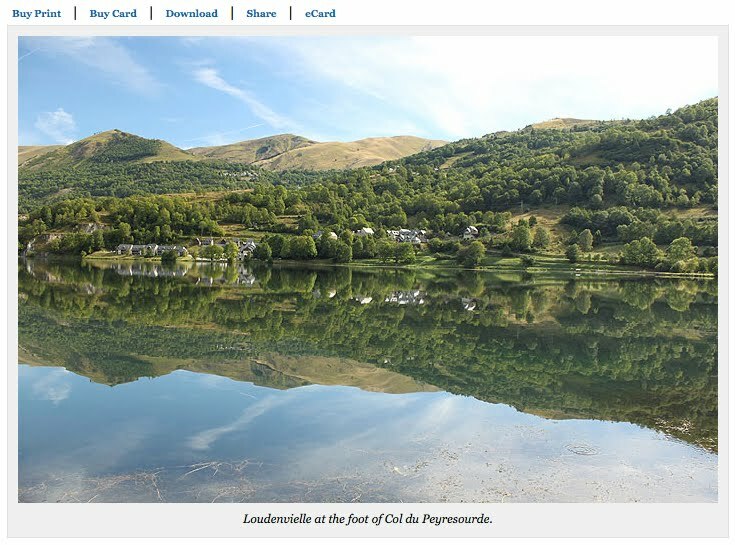 Not only do they provide great cycling accommodation and meals in a beautiful valley of the Pyrenees, they also offer cycling tours, information on the climbs in the Pyrenees, great up-to-date news on the proposed Tour de France route for 2011, and best of all fantastic photography! The second photo was taken a few weeks ago of the town above Saint Savin in the direction of the Col du Soulor. 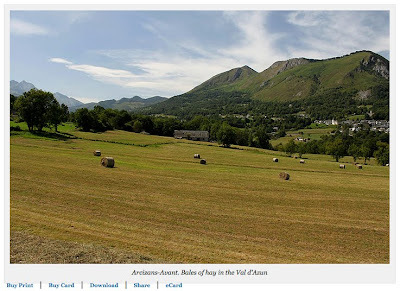 I really look forward to the pictures Paddy posts on his blog of the mountain passes in the changing seasons of the Pyrenees. Even his winter photography is fantastic, and especially his cows!